Thierry Notz"s The Terror Within (1989) is about a post-apocalyptic world where gargoyle-looking creatures roam the landscape looking to reproduce with female humans. 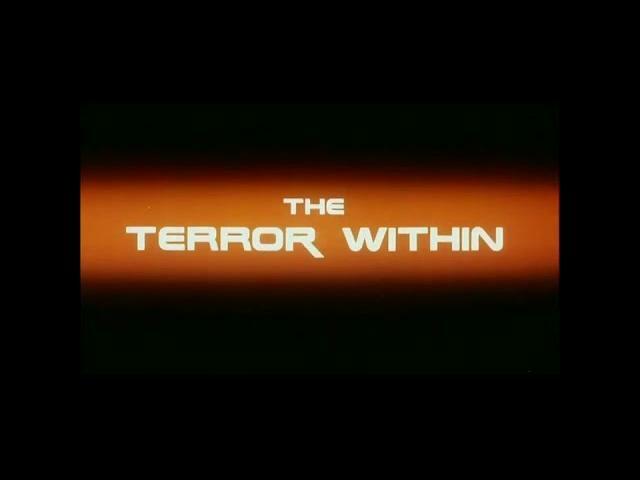 Andrew Stevens, Starr Andreeff, and George Kennedy star in The Terror Within. It's the post-apocalypse, and the world has been changed by "the accident", a chemical warfare experiment gone awry. At an isolated subterranean complex, a group of people survived because they were able to get the antidote for the illness. They rescue a surface survivor from the gargoyles, who unfortunately had time to impregnate her, and when the "baby" is born and escapes into the ventilation ducts, they begin experiencing an attrition problem.